Invisalign© straightens your teeth without wires and brackets, using a series of clear, customized, removable appliances called aligners. It’s virtually undetectable, which means hardly anyone will know that you’re straightening your teeth. Invisalign is a way to straighten your teeth without wearing braces. It is comprised of a series of clear “plastic” trays called “aligners” that fit smoothly and comfortably on your teeth. The trays can be easily removed for eating, brushing and flossing and perhaps best of all, they are virtually invisible. Many patients who always wanted to improve their smile but were unwilling to wear more traditional braces have used Invisalign to get the smile they always wanted. The trays MUST be worn 20-22 hours every day-NO EXCEPTIONS. You must wear them at all times except when eating, brushing, flossing, or occasionally on a special occasion. Each aligner is worn for 2 weeks. Office visits are typically every 6-8 weeks where we check your progress and give you the following sequence of trays. Besides the near invisibility of Invisalign trays, other advantages of Invisalign over “fixed” braces include the ability to be “braceless” for milestone events; aligners can be removed to brush and floss so oral hygiene can be maintained; there are no restrictions on eating and drinking; and compared to traditional braces, this system often requires fewer office visits, shorter appointments, and there are typically no “emergency” visits–making this system very convenient for the patient. The cost is typically about the same as traditional braces. An important last point if you are considering Invisalign to straighten your teeth: We have found that patients who research Invisalign on the internet or in talking with friends often are confused with what they learn; It seems that about 1/2 of the patients who have had Invisalign love it, while the other 1/2 may state it didn’t really work. This is probably because Invisalign is not for every patient or every bite problem but some dentists prescribe it for conditions the trays cannot correct.. In our office, the doctors make it a point to let you know if you are a candidate for Invisalign or not. Also, if you are a candidate, if Invisalign will accomplish everything that braces would or if there will be any limitations to your treatment. Dr. Mendivil is very experienced in the intricacies of the Invisalign Process having treated and finished hundreds of patients—Many in less than one year’s time. Patient happiness AKA “success” in this treatment modality involves clinical acumen, experience and proper patient selection. 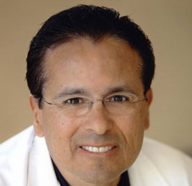 Due to his experience, Dr. Mendivil been given the distinction of being Invisalign Premier Providers. If you are interested in Invisalign and would like to know if you are a candidate for this modality of treatment, you should schedule a complimentary exam with Dr. Mendivil where they will evaluate your teeth and concerns and let you know if Invisalign is an option for you. Orthodontic treatment in our office is very individualized. Your treatment plan will be unique and specific to you. The type of braces recommended and the length of time that they are to be worn depend on several factors. During your initial exam, Dr. Mendivil will evaluate your teeth, your bite and your smile and present to you all possible treatment options, length of treatment and treatment costs so that you may make a decision that addresses your specific concerns to achieve a healthy bite and beautiful smile. Let Invisalign© Teen help perfect your smile using clear aligners so your teenage memories can be captured with confidence. Invisalign Teen aligners are removable and virtually invisible, which means you can straighten your teeth without anyone knowing. You can still eat and drink what you want. Also, you can brush and floss normally to maintain healthy gums and teeth, and there are no wires, metal or brackets to cause mouth abrasions.